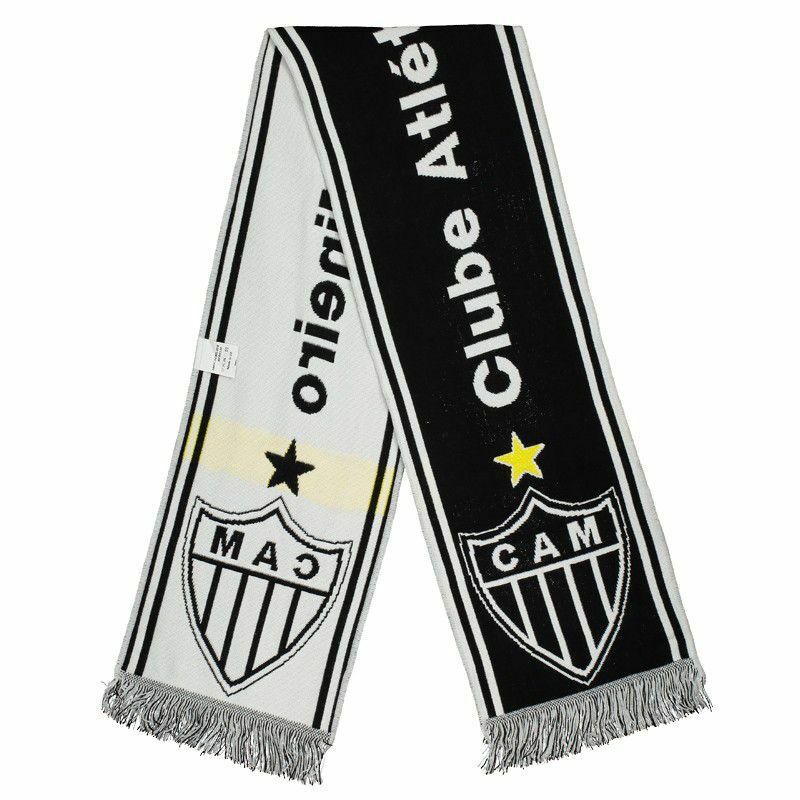 For Atlético Mineiro fans, this scarf is the right choice to show your passion for the team! Made in acrylic, the product has a design in the colors of the Rooster, predominantly black with white details. More info. For Atlético Mineiro fans, this scarf is the right choice to show your passion for the team! Made in acrylic, the product has a design in the colors of the Rooster, predominantly black with white details. In the track, it is written "Clube Atlético Mineiro", along with the badge of the team at each end of the piece. Lastly, fringes at the ends complement the details. The Clube Atlético Mineiro (known only by Atletico and whose acronym is CAM) is a brazilian multi-sport club based in the city of Belo Horizonte, Minas Gerais. Founded on March 25, 1908 by a group of students, which the traditional colors are black and white. However, the club had the first name Athlético Mineiro Football Club and its first colors were green and white. Its most popular symbol and nickname is the Rooster (Galo), official mascot in the late 1930s.